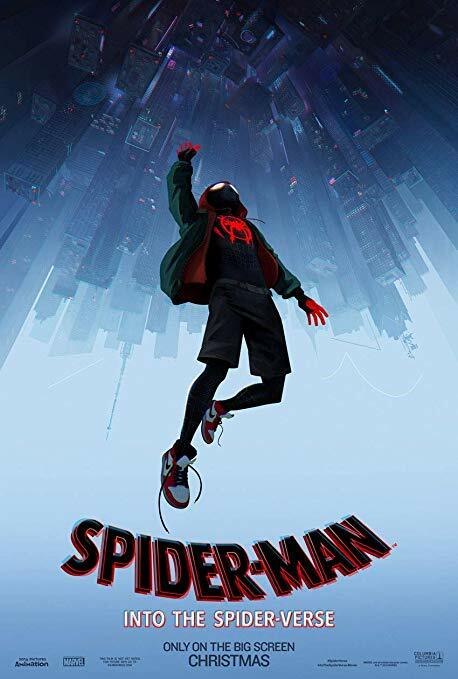 Brief Synopsis – A confused inner city teen gets bitten by a radioactive spider and gets superpowers making him the second Spider-Man in his home town. My Take on it – AS a fan of superhero films, I wasn’t quite sue what to expect from this one. Most of the animated films about superheros haven’t been able to be as good as the live action ones, soI figured that I’d eventually see it. After this film came out, it got so much hype for it’s originality and storyline, I knew I had to see what it was all about. It truly is a superb addition to what we already know about Spider-Man. They are able to give us a very fresh take on the storyline and being a fan of comic books, I was already familiar with the concept of the multi-verse, but they do an amazing job explaining it to those uninformed about it. They various characters who are the “spider-men” of their universes are quite diverse and that allows us to see the persona of a hero in very different ways depending on the kind of “world” they all inhabit. This allows us to explore the concept of Spider-Man on a much deeper level because we get to learn about the backgrounds of each of them and also about the various differences between them. What’s great tho are the similarities that these characters share with one another which helps them band together for a common cause. The animation is superb and the various characters from various “worlds” allows them to use different animation techniques for each character and make things look amazing. This IMHO is by far the best Spider-Man movie to date and I hope that they are able to keep things going in that direction for any future installments of these characters onscreen. This is the best animated film of 2018 IMHO by far! Bottom Line – Superb addition to the Spider-Man mythos. Gives us a fresh take on the storyline of Spider-Man and helps understand the concept of the multi-verse. The various incarnations of the webbed crusader allows the filmmakers to explore so much more about this hero, his background and of course how he might be different in parallel universes. The animation is superbly done and they are able to mix together various animation techniques based on the fact that each of the parallel universes looks different, yet there are some very important similarities between them that helps band them together. This is the best Spider-Man film so far and lets hope they continue in this direction for any future installments. Highly Recommended!